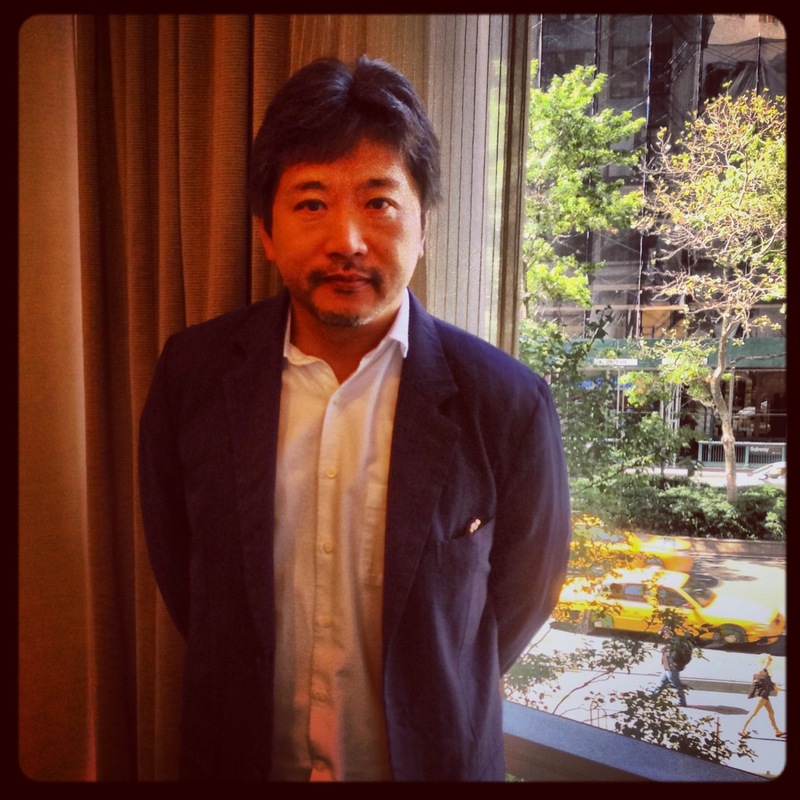 Last week Japanese film director Hirokazu Kore-eda was in New York to promote his latest film, Like Father, Like Son (Soshite Chichi ni Naru), which had two screenings as an Official Selection at the 51st New York Film Festival. The award-winning director is known for his beautifully rendered and deliberately paced stories of the human condition, including Maborosi, After Life, Nobody Knows, and Air Doll. This year Like Father, Like Son took the Jury Prize at the Cannes Film Festival. It marked the first time since 1987 that a Japanese film won that category. Like Father, Like Son is an excruciating tale that asks the gut-wrenching question, “What would you do?” When Ryota (Masaharu Fukuyama), a successful and driven businessman, and his wife, Midori (Machiko Ono), discover that their son was switched at birth, they face a most difficult decision: Do they keep the son they’ve raised as their own for six years, or do they give him up for their “real” son? Steven Spielberg, who served as president of the jury at Cannes, was so impressed by the family drama that DreamWorks Studios, the company of which he is a principal partner, acquired the rights for the remake. New Yorkers who missed the screenings during NYFF will have the rich opportunity to see Kore-eda’s thought-provoking work when Like Father, Like Son is released in early 2014 through Sundance Selects. Stay tuned for the film and for the JapanCulture•NYC interview.